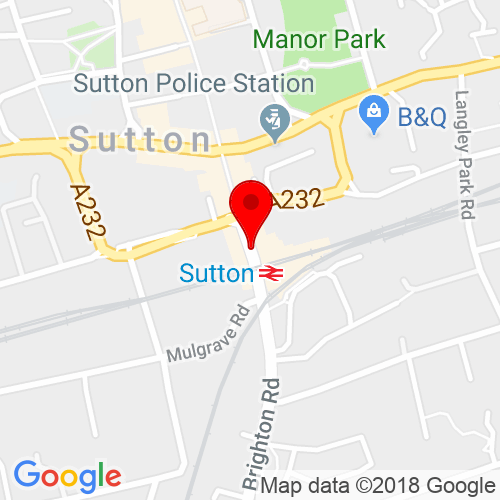 Sutton train station is very close to the main shopping area and a very short distance to the salon. The Sutton area is served with lots of local bus connections, both stopping on the High Street and The Quadrant. Parking is a short distance either from The Times Square car park or on Gibson Road multi-storey car park. Click here to see the current price list for Rush Sutton. Our hairdressers in Sutton, Surrey, opened its doors just over 12 years ago and it is still going strong to this day. The foundations have stood their grounds and our ethos; that it’s all about hair, rings true as it did all those years ago. Today we like to call it ‘YOU, by Rush’. We understand that gorgeous hair can lift your mood and make you feel a million dollars. We appreciate you want glamorous yet wearable hair that looks good every day, not just when you leave our hair salon, that’s why our stylists will do their utmost to get to know the real you and your style, so you can be confident we’ll create a look you love. We realise that time is of the essence, so we believe that a visit to your hair stylist should be a treat, a prized experience that’s personal to you and your hair. Relax with an indulgent head massage in our tranquil spa, then enjoy a cold beverage (or cup of tea!) while your hairdresser crafts a look so perfectly you, you leave radiant, both inside and out. Caring for the condition of your hair is equally important as a haircut. We have a huge collection of nourishing, strengthening, replenishing and volumising treatments that will restore your hair to its former glory in no time. 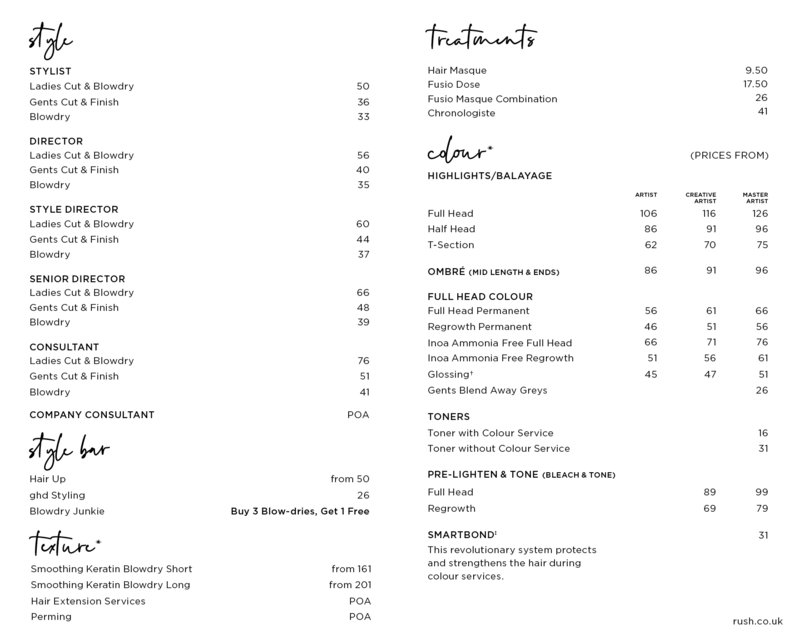 We’re also experts in more specialist services such as a Brazilian Blow dry or Hair Extensions too. 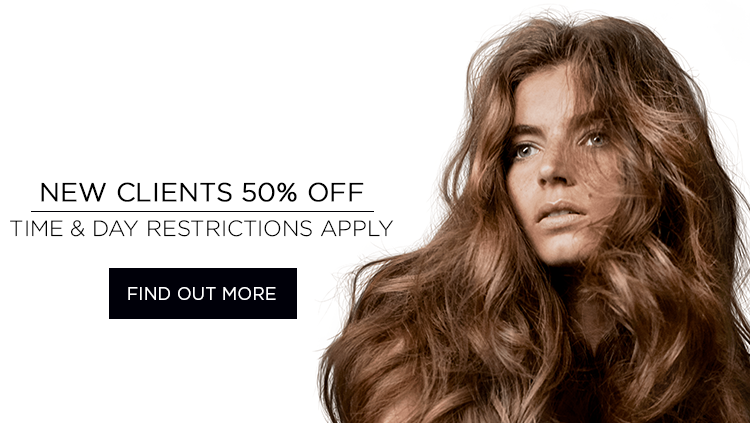 We supply the best in hair care products from Kérastase and L’Oréal Professional to Tigi. Speak to your Sutton hairdresser and they will happily recommend the finest products to meet your needs and just so you know, we only supply products we use in our salons and would choose ourselves, so you can be confident you’ll see results. Rush Sutton’s 50% Off Colour Day is Tuesday. I have been a client of my stylist for over 4 years now and every single time I come away I couldn't be happier with my hair. I have had a number of hairstyles and different colours in which my stylist creates flawlessly making my ideas come to life. I have been a loyal customer to Sutton for over 10 years and what makes me come back over and over again is the lovely atmosphere and dedicated stylists. I come in every week for a blow dry. I love it and wouldn't go anywhere else.